Morgan Freeman is in negotiations to join Johnny Depp in former cinematographer Wally Pfister’s sci-fi directorial debut, Transcendence. The plot details are closely guarded, but the story is described as a 2001: A Space Odyssey meets Inception. In the film, Depp stars as a man who creates a computer program that develops an awareness. In addition to both Depp and Freeman, Kate Mara, Paul Bettany and Rebecca Hall will also co-star. Christopher Nolan, Emma Thomas and Aaron Ryder will executive produce. 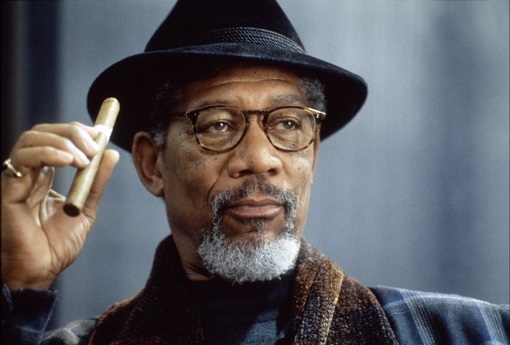 Freeman continues to stay busy, most recently starring in Olympus Has Fallen and last year’s The Dark Knight Rises and next appears opposite Tom Cruise in Oblivion and Now You See Me. Transcendence begin shooting in May and will be in theaters on April 25, 2014.